Advanced Systems Roofing & Waterproofing Ltd.
Alpha Roofing & Sheet Metal (2016) Ltd.
Architek Sustainable Building Products Inc.
Arcona Roofing & Sheet Metal Ltd.
Bollman Roofing & Sheet Metal Ltd.
Cascade Roofing & Exteriors Inc.
Eby & Sons Construction Ltd.
Metro Roofing & Sheet Metal Ltd. Prince Sheet Metal & Heating Ltd.
Villa Roofing & Sheet Metal Ltd. Since 1968, we have been committed to safety and follow rigorous standards to ensure our crews and customers are protected. This has earned us a reputation as a reliable company dedicated to providing quality services. We offer a wide range of services for industrial, commercial and residential clients. Admiral Roofing is family-owned and one of the most recognized names for commercial and industrial flat roofing in Northern BC. Known for quality work on all new construction and maintenance projects, we go above and beyond to provide quality customer service to all of our clients. Company: Advanced Systems Roofing & Waterproofing Ltd. Committed to providing customers with the best quality products and the highest level of professional services since it was established in 1998. Today, the company employs over 80 staff and the management team has over 100 years of combined roofing experience. 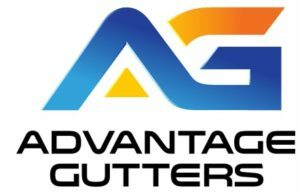 Advantage Gutters offers custom designed systems for any application: single family homes, strata complexes, townhomes, commercial and institutional buildings. With over 30 years in the industry, we work closely with homeowners, strata managers, roofing inspectors, restoration companies, and engineers to ensure you get the best options for your structure and environment. Manufacturer of expanded polystyrene (EPS) under the registered trademark SilverCore. Our foam is for your specific needs type 1 & 2, 1” to 20” width and 1” to 48” length, sheeting to Exterior & Insulation Finish System (EIFS). Dedicated to the roofing industry by providing a quality product and reasonable pricing. Address: #109 - 12736 80th Ave.
We provide the highest standard of service, quality and workmanship on every roofing and sheet metal project. With 20 years experience in the roofing industry combined with a high level of technical expertise and superior craftmanship customizing precise sheet metal and metal roof panels. Company: Alpha Roofing & Cladding Inc.
For over 50 years, Alpha Roofing has provided professional roofing services to commercial and residential customers in Kamloops, Victoria, and Vancouver. We specialize in conventional flat, steep sloped roofing, single ply membranes, architectural metal roofing and wall cladding systems. Company: Alpha Roofing & Sheet Metal (2016) Ltd.
For over 50 years, Alpha Roofing has provided expert professional roofing services to our commercial and residential customers in Kamloops, Victoria, and Vancouver. We specialize in conventional flat, steep sloped roofing, single ply membranes, architectural metal roofing and wall cladding systems. Company: Architek Sustainable Building Products Inc. Address: Ste 202 28 West 7th Ave.
Company: Arcona Roofing & Sheet Metal Ltd.
A family operated business with over 46 years of history. We strive to make every project a success by using quality products, unparalleled workmanship, good communication and true information. We emphasize quality installation over production volume. Our motto has always been “treat the customer’s building as if it were our own”. we are committed to influencing building design with high R-value solutions that reduce energy consumption and exceed code requirements. 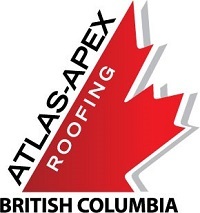 Company: Atlas-Apex Roofing (BC) Inc. 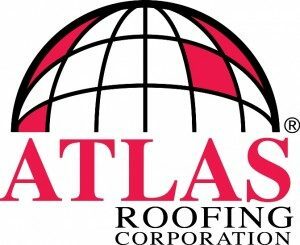 Founded in 1928, Atlas-Apex Roofing Inc. has grown to become Canada’s premiere industrial/commercial/institutional (ICI) roofing contractor, providing our expert services to support our customers’ operations across Canada. With 11 regional branches and an additional network of 30+ service locations across the country, we provide prompt, efficient and knowledgeable roofing solutions to solve any problem, from coast to coast. We specialize in Emergency Leak Service, Maintenance and Repairs, Roof Alterations, and Restoration and Replacement solutions to suit all types of clients, roof types and budgets. Address: P.O. Box 70, 1850 Alberni Hwy. In business since 1977, we serve all of Vancouver Island and provide roofing solutions for residential, commercial and industrial projects. To meet the diverse needs of our valued customers, we work with all product lines including asphalt shingles, tile and metal roofing, 2-ply SBS, PVC and single ply membranes as well as waterproofing, exterior cladding and siding, continuous gutters and rainscreen. A distributor of residential roofing, commercial roofing and exterior building materials through our nineteen locations. We have one of the largest inventories of roofing shingles, metal roofing, slate roofing, tile roofing, commercial roofing, skylights, windows, waterproofing and and accessories throughout Canada. Our customers range from residential home owners and commercial clients to large industrial companies. We can provide services for all of your roofing and weather protection needs. Founded in 1977, Bitumar Inc. is a privately owned company specializing in the production of liquid bitumen used in asphalt blends for road paying as well as for the roofing industry. 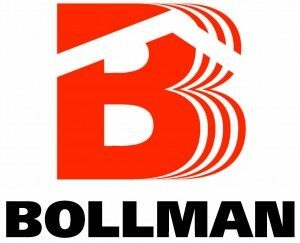 Company: Bollman Roofing & Sheet Metal Ltd.
We have been proudly serving Vancouver and the Lower Mainland for over 50 years. We utilize reliable and proven roofing materials and systems installed by skilled roofing technicians who are supervised by our professional management team. You can trust Bollman Roofing to solve your roofing problems. 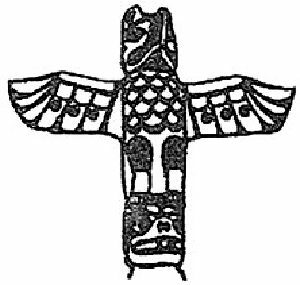 Company: Bothwell-Accurate Company (B.C.) Ltd. 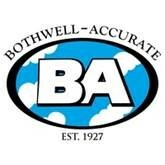 Established in 1927, Bothwell-Accurate has enjoyed 90 successful years in business and now employs over 300 professionals to meet all your waterproofing, architectural metal and roofing project requirements. With a management team that represents some of the most experienced professionals in the industry, and more than 60,000 completed projects, we are one of Canada’s oldest and most experienced construction firms. We proudly service our growing roster of industrial, commercial and institutional clients providing innovative, superior installations across Ontario and the lower mainland and interior of British Columbia. Company: Broadway Roofing Co. Ltd.
Our client list is long and extensive and includes everything from homeowners to business owners, school districts to federal, provincial and local governments, all of whom have put their trust in the hands of the roofing professionals. Brock White has been a trusted supplier of construction products since 1954. We serve commercial, residential, highway and industrial contractors through distribution centres located in Western Canada and the US Midwest. We provide roofing, insulation, waterproofing products and more. Company: Building Products of Canada Corp.
With roots going back a century, BP has stood the test of time. Our business model has been constant over the years; a unique blend of integrity, innovation, partnering and performance. Company: Cambie Roofing Contractors Ltd. Specializing in providing outstanding roofing services in new construction, re-roofing, repair and maintenance for residential, commercial and industrial projects. With over 50 years in the industry, we understand the unique challenges that are presented when approaching smaller residential projects or highly complex industrial and commercial jobs. Inspired by the solar energy industry and a family business related to builders, Canada Go Green designs, manufactures and distributes energy efficient products for residential and industrial buildings. Canada Go Green is proud to be 100% Canadian. Our products are designed, assembled and tested for quality control at our facilities in Ontario. We are the leading manufacturer of solar powered attic vents in Canada. Company: Canada Metal (Pacific) Ltd.
A leading manufacturer of lead, aluminum, EPDM, thermoplastic and galvanized flashings for commercial and residential applications branded under the name Legend Roofing Products. We continue to grow our product offering to service the needs of our customers; a tradition of building tomorrow. The leader in the commercial single-ply roofing industry for more than 50 years. We continue to lead the roofing industry by providing our customers with superior roofing systems and services through a select network of manufacturer representatives, distributors and applicators. Company: Cascade Roofing & Exteriors Inc.
Based in Chilliwack, we have been in business for over 25 years. Whether it’s a new construction, a renovation re-roof or a commercial building roof, we can provide a variety of services and products to suit your needs. We are a family owned and operated company with locations in the Lower Mainland and Vancouver Island. We have been operating for 39 years in BC and have a loyal established base of top quality roofing contractors. 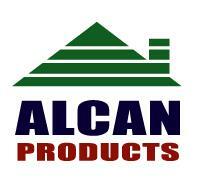 A leading North American manufacturer of building materials including roofing and insulation products. CertainTeed strives to be the preferred choice for innovative building products and systems by delivering a superior customer experience through the development of exceptional team performance and world-class processes. A leading marketer, manufacturer and distributor of gypsum wallboard products, interior finishing materials and suspended acoustical ceilings in Canada. Serving the Chilliwack area since 1961, we have a long history of top quality work at competitive prices. Along with our high standards in the field and superior service, we have earned a reputation as one of the top roofing contractors in the Fraser Valley. At Continental Roofing, your roofing, roof repair and preventative maintenance requirements are our top priority. Focused on commercial, industrial and institutional roofing since 1988, our management and field personnel are dedicated to on-time and on-budget completion of your project. At Continental Roofing, your roofing, roof repair and preventative maintenance requirements are our top priority. Focused on commercial, industrial and institutional roofing since 1988 our management and field personnel are dedicated to on-time and on-budget completion of your project. 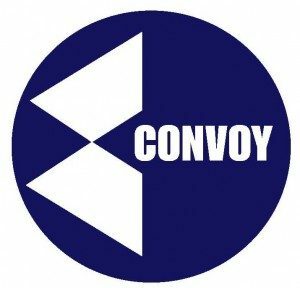 Established in 1972 as a supplier to the insulation, roofing and siding industries in BC, Convoy Supply has 39 outlets across Canada, and in Washington and Oregon in the US. Operating a full fleet of company owned trucks including specialized equipment and cranes, we offer customers the highest level of service available, seven days a week, 24 hours a day. Tried & True Since 1902. Since our founding more than a century ago Crown Roofing has covered more homes than any other BC roofing contractor. Providing durable, dependable roof repair and replacement services for home owners throughout the Lower Mainland. Company: D.M. Henderson Roofing Ltd.
As Northern BC’s premier roofing company, D.M. Henderson Roofing is only as good as our customers say we are. Our continued success relies on how well our employees and our roof systems perform, so we approach each job as though our reputation depends on it. Company: Design Roofing & Sheet Metal Ltd.
For over 30 years, Design Roofing has been one of Vancouver’s premier commercial roofing contractors. Specializing in the application of 2-ply SBS roof membrane systems, along with the largest repair and maintenance capacity in the Lower Mainland, we provide our clients with innovative and effective roofing solutions. A leader in providing energy saving solutions to the global construction industry for over 65 years. Our roofing solutions are the leading sustainable choices for durability, moisture resistance, and energy efficiency, and our experts can help you identify the best solution for the design and performance goals of virtually any building structure. We began in 1978 with the simple need to find a roofing system that worked. We are now the world’s largest manufacturer of prefabricated roofing systems. The Duro-Last Roofing System, contractor installation team, customer service and warranty all set the quality standards for the roofing industry. 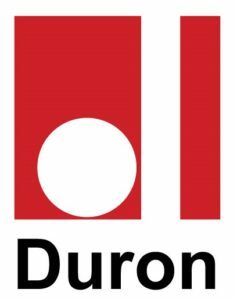 For over 50 years, Duron Roofing has provided expert professional roofing services to our commercial and residential customers in Vancouver. We specialize in conventional flat, steep sloped roofing, single ply membranes, architectural metal roofing and wall cladding systems. Company: Eby & Sons Construction Ltd.
Eby and Sons Construction has been a North Coast mainstay since 1946 and an active member of the RCABC since 1983. We specialize in commercial and industrial roofing and have expanded our roofing operations to include industrial coatings. Eby & Sons is ISO 9000:2001, COR certified and employs NACE qualified staff. The industry choice for high performance roofing solutions; over 100 years working with rubber and polymer technology and over 40 years in the roofing industry. Committed to providing professional service in single-ply EPDM and TPO, two-ply modified bitumen, and standing seam metal roofs. 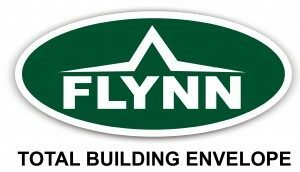 North America’s leading building envelope trade contractor. For over 30 years we have been providing quality contracting services in the institutional, commercial and industrial construction marketplace. Address: Unit #1 - 13120 76 Ave.
FT Synthetics is the manufacturer of a complete line of synthetic roofing underlayments designed through listening to customers, engineers, architects, roofing contractors/installers and home owners. 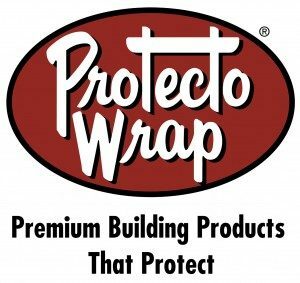 Their products provide ultimate high performance and protection for the installer and the home owner. G & G Roofing provides commercial and industrial roofing services for general contractors, municipalities, school districts and government facility managers. With a long standing reputation for reliability and professionalism, our company installs a variety of roofing systems from sheet metal to green roof technology. Founded in 1886, GAF has become North America’s largest manufacturer of commercial and residential roofing materials. Their success in growing the company to nearly $3 billion in sales is based on a unique philosophy of helping property owners and architects make the best and safest roofing choices. Offering high performance roofing and building envelope solutions for over 100 years. 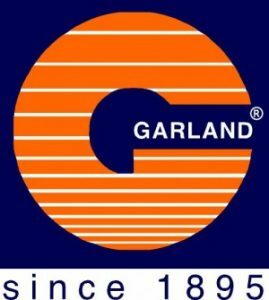 With outstanding people, products and services as well as certified ISO 9001, Garland will assist you, nationwide, with roof evaluations, infra-red scans, moisture testing, inspections and long-term roof programs for restoration and/or replacement. 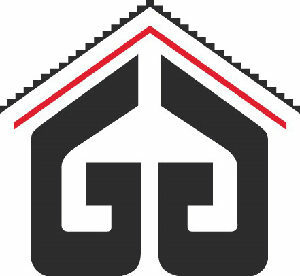 Company: GRC Columbia Roofing Inc.
A leading installer of high-performance roofing and building envelope solutions. It’s our innovative approach to the roofing, waterproofing and architectural sheet metal trades that enable us to provide contractors, and property owners with the safest, highest quality installation and maintenance services possible. Producing a wide range of premium quality protective construction membranes including Perm-board asphalt overlay board, Polymax BUR roofing, breathable sloped roofing underlayments and a variety of rainscreen membranes for the protection of the building envelope. Leading innovator of Building Envelope Systems® and understands the principles of integrating air/vapour barrier, roofing and waterproofing systems to ensure superior building performance. Henry professionals offer designers, contractors and building owners a combination of technical experience and a commitment to quality products. Company: Heritage Roofing & Sheet Metal Ltd.
Heritage Roofing & Sheet Metal has served the Kootenays since 1986 and has been a proud member of RCABC since 1988. Our focus is on flat and low slope roofing systems and our sheet metal division specializes in cladding, concealed fastened roof systems and all forms of architectural sheet metal projects. As a family owned and operated business, we have built our success on the old school values of hard work, honesty and respect for customers. Homan Roofing is your premier source for roofing excellence in installation, maintenance and repairs in the commercial roofing industry. We focus on one particular mission; to distinguish ourselves as a proactive entrepreneurial manufacturer and a leader in the marketing of our product line. As an industry leader in polyiso roof insulation panels for 17 years, we introduced Hunter Xci Exterior Continuous Insulation four years ago for commercial wall applications. IKO is a family owned company committed to manufacturing quality commercial and residential roofing products since 1951. Our company motto is “Setting the Standard” and that’s what we do; set the standard for quality, durability, and innovation. Company: Interior Roofing (2011) Ltd. Proudly serving the Okanagan and areas beyond since 1976. We take pride in our workmanship and roofing expertise with a staff comprised of 75% journeymen roofers and sheet metal workers. Manufacturer of commercial roofing products focused on delivering a true integration of roofing components into dependable robust systems. Our roofing systems are tested and our products are single-source supplied which means responsibility and dependability from a trusted partner. Company: Kelowna Roofing (1984) Ltd.
Kelowna Roofing is a commercial and residential roofing contractor with a solid reputation for honesty and dependability. We have provided quality services in the industrial, commercial, institutional and residential marketplace for over 30 years. COR certified in 2012, health, safety and injury management is a top strategic priority. 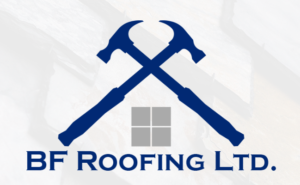 Company: Laing Roofing (Vernon) Ltd. Serving the Okanagan for over 25 years, we are an award winning company that is recognized for its customer satisfaction and large volume of repeat customers. When you work with us, you get a professional and dedicated team that values your business. Address: 1 - 3485 Velocity Ave. Serving the Okanagan for over 30 years, we are an award winning company that is recognized for its customer satisfaction and large volume of repeat customers. When you work with us, you get a professional and dedicated team that values your business. Company: Lam Metal Contracting Ltd. In business since 1987, we have grown from a being metal roofing subcontractor to manufacturing and installations. 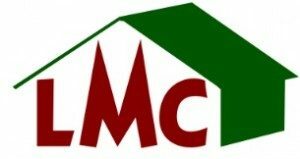 In 2007 we established LMC Manufacturing Ltd. to handle the growth and serve our customers better. Company: Langley Roofing Co. Ltd.
A family business established in 1959. We pride ourselves in our devotion to your roofing project, no matter how big or small. Specialized in re-roofing both flat and shingle roofs. Company: Mack Kirk Roofing & Sheet Metal Ltd. 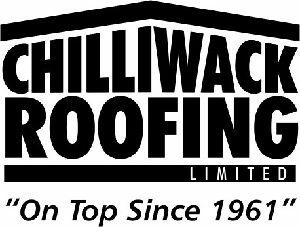 Founded in 1908 we have grown to become one of the most reputable roofing services companies in the Lower Mainland. We specialize in providing exceptional service for residential, commercial and industrial new construction, re-roofing, repair work and maintenance for most roof types. Company: Mainline Roofing Co. Ltd. Serving the weatherproofing needs of BC since 1968. From roofing to insulation, we provide the expert workmanship and high quality materials that you rely on to keep your family and assets safe. We offer the most reasonable prices, and work to enhance energy efficiency while providing effective weather protection. Manufactures technology driven sustainable roofing solutions for contractors, architects, and homeowners seeking dependable roofing products. Since 1956, Malarkey Roofing Products has consistently valued innovation and manufactures products that improve people’s lives while balancing environmental and economic interests. 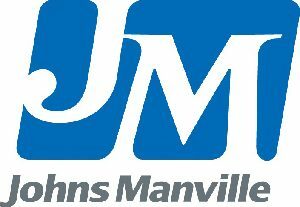 Company: Mansonville Plastics (B.C.) Ltd. 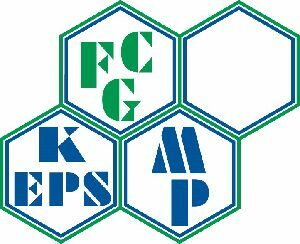 Since our start in 1959 as an EPS manufacturing company, we have always committed to service and quality as our hallmark. With a diversified and well rounded portfolio of EPS products, we offer a great number of choices in order to respond to the business needs of our clients. Company: Marine Roofing (1996) Ltd. The Marine Roofing Group is committed to providing the best product and the highest quality of workmanship for all of your flat, shingle, and metal roofing needs, along with architectural wall systems and waterproofing. Safety is our top priority and our word is our bond. Formed in 1978, we have grown to become a leader in producing products for the roofing, building and plumbing industries. Working closely with building organizations for the past 35 years, we have been designing effective and innovative products, and improving and simplifying roofing products for ease of installation. Company: Metro Roofing & Sheet Metal Ltd.
Providing quality roofing systems throughout BC since 1991 and serving the commercial and industrial sectors of the industry (new construction and re-roofing). We install BUR systems, 2-ply SBS, single ply, TPO and PVC, along with custom sheet metalwork, metal roofing and wall cladding. 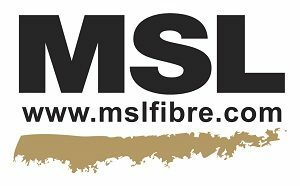 Providing fiberboard panels manufactured in Canada entirely from non-toxic natural materials that meet the most stringent environmental criteria. Products are stable, lightweight and easy to install and have been place at the top of the ranks for insulation, roofing and soundproofing. Company: Mule-Hide Products Co., Inc.
Low slope system solutions for roofing contractors providing EPDM, TPO and PVC roofing systems together with special solutions support for contractors. One of the most trusted names in low-slope roofing since 1985. The long-held promise of performance behind the Mule-Hide name, trusted in roofing since 1906, continues today with premium quality low-slope products that meet the current and emerging needs of the design community. Nelson Roofing & Sheet Metal is north Vancouver Island’s largest roofing and cladding contractor delivering high quality installation, replacement and repair for all roofing systems. In business since 1980, we are COR certified, operate 3 branch locations and a large fleet of sixty vehicles to meet the needs of any project big or small. Northern Vancouver Island’s largest roofing and cladding contractor delivering high quality installation, replacement and repair for all roofing systems. In business since 1980, we are COR certified, operate 3 branch locations and a large fleet of sixty vehicles to meet the needs of any project big or small. Company: Nielsen Roofing & Sheet Metal Ltd.
Nielsen Roofing & Sheet Metal has been in business since 1946 and a proud member of RCABC for more than 50 years. Our company provides 2 Ply SBS torch-on, 1 ply EPDM-TPO-PVC, tar and gravel, shingles, concrete and clay tile, all types of metal roofing, metal cladding, metal soffits, and custom sheet metal. Address: PO Box 64760 - 3036 Gordon Ave.
We are a family owned company and for over 18 years have offered roofing services for all types of residential, commercial and institutional roofing. Our work ranges from repairs and maintenance to installing new roofs systems on homes, condos and commercial and institutional buildings. Owens Corning™ roofing shingles are committed to quality and beauty for the home, and as a market leader in insulation, Owens Corning Canada also provides XPS insulation solutions for commercial roofing. Began manufacturing premium asphalt shingles in Tacoma, WA in 1984 and quickly earned a reputation for producing quality products and providing excellent customer service. Our product offerings include Paramount® Advantage, Paramount® and Cascade™. A commitment to quality has is one of our core values. 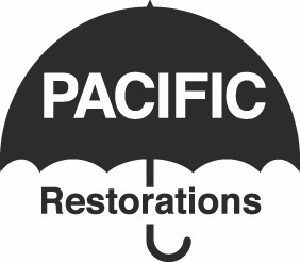 Company: Pacific Restorations (1994) Ltd. Proud member of RCABC since 1965. We specialize in SBS flat roofing, metal wall cladding and roofing for commercial, industrial and residential re-roofing and new construction. Our mission is to provide quality service on time and on budget. Company: Pacific Roof Centre Inc.
Pacific Roof Centre was founded in 2002 with one branch serving the Thompson Okanagan and West Kootenay regions in BC’s interior. Pacific Roof Centre has earned an excellent reputation in the marketplace for providing quality roofing materials and exceptional customer service. 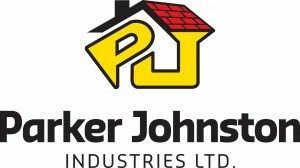 Company: Parker Johnston Industries Ltd.
As one of Vancouver Island’s largest, family-owned roofing contractors, we offer a wide variety of roofing solutions for both residential and commercial applications on Vancouver Island. We have recently expanded and can now offer roofing services in Calgary, Alberta. 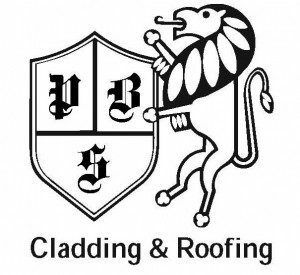 Proud member of RCABC since 1960, we manufacture PlastiSpan (EPS) roof Insulation products for all roofing applications. Providing flat and tapered roof Insulation products for residential, commercial and institutional projects. 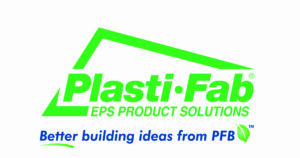 Plasti-Fab is a local BC manufacturer employing local employees. Company: Pocklington Building Systems Ltd. Established in 1987 to serve the growing resort community of Whistler, BC we have grown from a residential metal roofing company to providing residential and commercial roofing and cladding services. Now serving the entire Squamish-Whistler-Pemberton corridor. A leading manufacturer of modified bitumen roof membranes known for its self-adhered roofing systems based on the company’s patented ADESO® technology and its new patent-pending CURE Technology®. Polyglass also produces a full line of premium roof coating systems. Providing quality, innovation and service at its best. Established in 1982, we are unquestionably the market leader in the design and production of tapered roof installation. As a Canadian pioneer of sloping to drain with rigid roof insulation we have successfully grown national in scope. Precision Metals Ltd. is a manufacturer and distributor of products for the roofing, building, plumbing and HVAC industries. 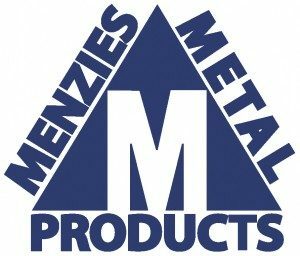 They supply items ranging from metal flashings to copper, lead, zinc and plastic products. Company: Prince Sheet Metal & Heating Ltd. Serving Central BC and the surrounding area since 1959. We are a professional roofing and sheet metal company that recognizes the investment a building owner has in their roofing system. We specialize in SBS, single ply systems, ventilation, blower pipe, insulation, warm air heating and sheet metal applications for the commercial and institutional markets. Company: Pro-Line Construction Materials Ltd. 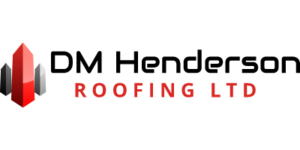 Proud member of RCABC since 2000 and a major supplier to the roofing industry in BC. We operate from 8 branch locations in BC and AB and offer a full line of commercial, industrial and residential roofing materials for our customers. We specialize in onsite and rooftop deliveries. 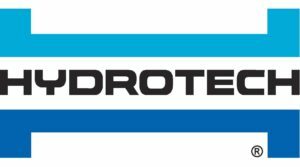 Since 1952, we have been manufacturing waterproofing membranes with a sound reputation for producing some of the highest quality waterproofing systems available. We offer design consultation and field technical support for all product lines, which include residential and commercial waterproofing membranes. A seasoned team of experts, we have installed over 40 million square feet of roofing. We get the job done when we say it will be done combing teamwork, technology and professionalism. RooFix provides a full range of roofing services, including replacement, maintenance and repairs for all types of flat and sloped roofs. Clients include industrial, commercial and institutional building owners, property managers and individual homeowners. All work is completed to accepted roofing standards by qualified tradesmen and registered apprentices. The distributor of choice among industry professionals in Canada for more than 50 years. Our business really began in 1957, when we first developed an association with IKO Industries, and during the years following, has grown along with IKO to become one of the largest roofing material suppliers in Canada. Company: Roy Dennis Roofing (2005) Ltd.
A third-generation, family owned full service roofing company that has been a leader in the Vancouver area since 1946. We’ve grown to a team of more than 40 certified journeymen and apprentice roofers, sales and office staff at our facility in north Richmond. Our employees have more than 200 combined years of experience and expertise in the roofing industry. A global supply partner, manufacturer and supplier of precision cold formed components, special fasteners and mechanical fastening systems. SFS products are manufactured internationally and supported by a comprehensive supply chain management system to ensure that we exceed our customers’ expectations. Address: 18131 114th Ave. N.W. 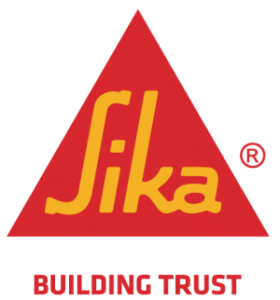 Sika is the worldwide market leader in thermoplastic membrane technology. With more than half a century of experience in the production of single-ply vinyl roofing and waterproofing systems, Sika is ideally positioned to offer roofing solutions that meet performance requirements and help attain sustainability targets. For more than 35 years, we have been a leader in the development and manufacture of the world’s most advanced roofing and waterproofing systems. A member of the Icopal Group, one of the world’s largest commercial roofing manufacturers, Siplast has a history of innovation. Since starting operations in Canada in 1978, Soprema has carved out a name for itself as the leader in the roof waterproofing sector known for the high quality of it products and its unparalleled technical support. Supported by the expertise of more than 60 waterproofing professionals. SOPREMA sets the standard in the waterproofing field. Manufacturer of composite insulating panels consisting of Styrofoam brand foam insulation with a factory applied latex modified concrete coating. 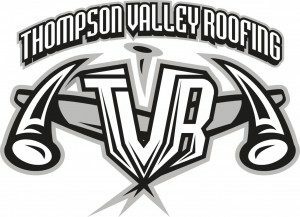 Company: Thompson Valley Roofing Ltd. Address: 105 - 1361 McGill Rd. Proudly providing new roofing and re-roofing services, plus repairs and maintenance in the Thompson Nicola area since 2002. Company: Tomtar Roofing & Sheet Metal Ltd.
With over 70 years roofing experience in the Okanagan, we have worked non-stop to set the standard for commercial, industrial, institutional, residential and building envelope services. Our expertise includes roofing/waterproofing, cladding, ACM, FC and phenolic panels, including an industry leading state of the art custom sheet metal shop. 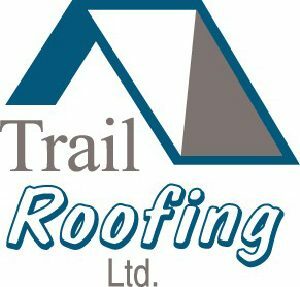 Company: Top Line Roofing Ltd. Specializing in the commercial application of modified bituminous sheet membrane roofing, hot rubber roofing and BUR systems, which are designed for their strength and durability. We also provide steep slope, metal panel and asphalt roof systems, along with commercial waterproofing applications. Company: Totem Roofing & Insulation Ltd. Established in 1954 Totem Roofing has been a member of RCABC since 1992. We specialize in cedar shakes, fiberglass laminate shingles, tile roof cleaning and repairs, as well as aluminum and membrane gutter system installations and repairs. Serving the Kootenays and surrounding areas for more than 50 years, we are a full service roofing and metal fabrication company that provides services for residential, commercial and industrial customers. 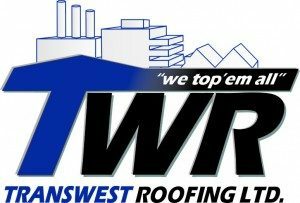 Serving the greater Vancouver area since 1960, Transwest Roofing specializes in all types of roofing and waterproofing applications. We have developed the knowledge and commitment required to undertake and successfully complete complex roofing projects. Committed to delivering the highest quality product and services to all of our clients. An international construction products and services company with roots reaching back to 1928, we are deeply committed to helping our customers solve their most challenging facility problems. Almost 700 highly trained sales and service professionals and specialists help keep good roofs and buildings for our customers during renovation, restoration, maintenance and new construction. 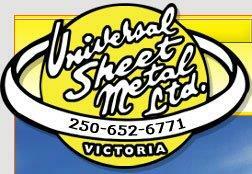 Company: Universal Sheet Metal Ltd.
A fourth generation family owned business, proudly serving British Columbia and Vancouver Island continuously since 1932. We provide roofing, ventilation and sheet metal services for commercial, industrial, institutional and multi-residential projects. A leading supplier of quality exterior building products for all segments of the construction industry across North America. Manufacturer of steel roofing, steel decking, insulated metal panels, architectural panels and wall panel products; our technical and sales staff are specialists in design, estimating and consulting. Company: Villa Roofing & Sheet Metal Ltd.
Villa Roofing is one of British Columbia’s Industry Leaders in Roofing & Waterproofing Systems servicing medium to large scale multi-family residential, commercial, industrial and institutional projects. Providing quality products, workmanship and services specializing in commercial, industrial and institutional roofing, sheet metal fabrication and installation. Serving the province of British Columbia since 1962 from our location in Kamloops and offering services in Cranbrook since May 2011. Proud to be a member of RCABC since 1996. Our goal is to work through our membership to promote quality products and services. When you need information on loads that can be applied to trusses, or any other information about a truss system, feel free to contact us or one of our members that are listed on our website. For over 34 years, we have prided ourselves on being a close-knit family business dedicated to fast service and quality products designed to meet the growing needs of our customers. Specializing in metal products to meet the needs of residential, agricultural and commercial structures.